Navyug Smart Mini City Ahmadpur Asrouli Uparhar Allahabad by New Modern Buildwell Pvt. Ltd.
Area/Size : 301 Sq.ft To 1395 Sq.ft. Developed by : New Modern Buildwell Pvt. Ltd.
Area : 301 Sq.ft, 360 Sq.ft, 425 Sq.ft and 455 Sq.ft. Area : 519 Sq.ft and 715 Sq.ft. Area : 920 Sq.ft, 1035 Sq.ft, 1105 Sq.ft, 1190 Sq.ft and 1395 Sq.ft. Stilt + 13 Floors / 12.50 Acres. 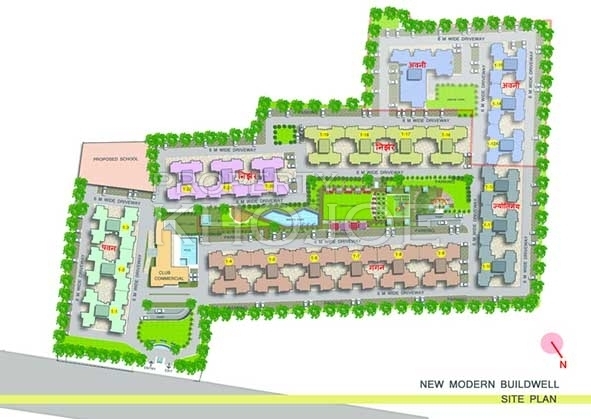 The Navyug Smart Mini City is a luxurious residential development which has been developed by the New Modern Build well Pvt. Ltd and is equipped with advanced technology, ultra-modern facilities, amenities and features. 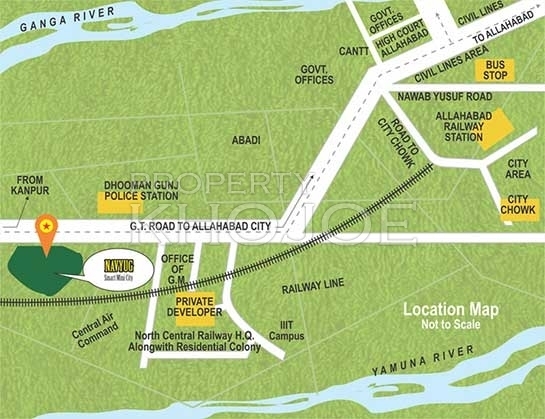 This property ideally situated in National Highway no 2, Ahmadpur Asrouli Uparhar, Allahabad. Therefore, has simplicity of access to important locations. It offers you healthy living, where every apartment is an excellent combination of style, beauty and tranquility. 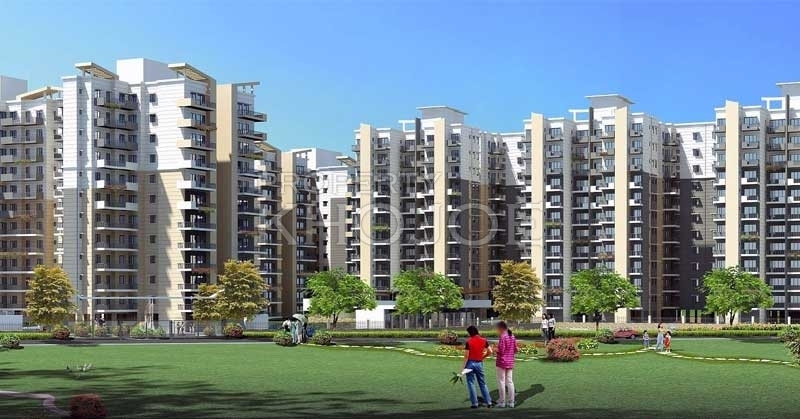 Navyug provides you the best living spaces with high-tech specifications and modern amenities. Which fits your life perfectly in!!! The property has excellent ventilation and is blessed with the best solar power facilities. Navyug - Smart Mini City blends your life perfectly with the mixture of happiness and perfection and see your children and spouse enjoy a blissful life. 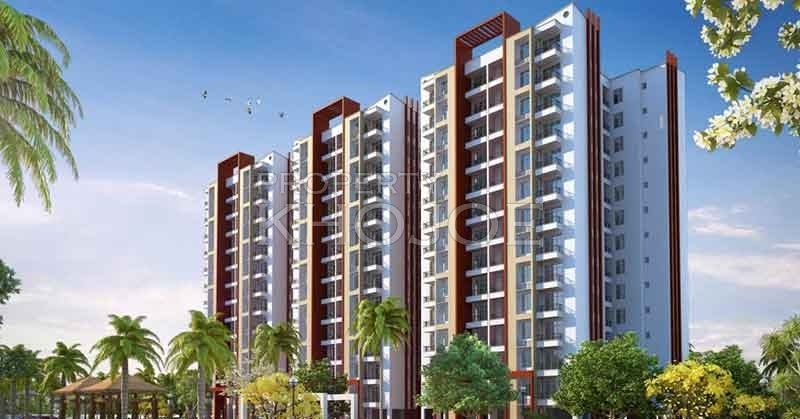 Navyug Smart Mini City is spread over 12.50 acres of land, which occupies a 13 storeyed building and providing 1 RK, 1 BHK, 2 BHK and 3 BHK super-luxurious apartments from 301 Sq.ft. to 1395 Sq.ft. If you need this property, kindly call us. About Builder - New Modern Buildwell Pvt. Ltd.